New York – Six months after releasing the Local Reproductive Freedom Index, a first-of-its-kind evaluation of the reproductive health, rights and justice policies of 40 of the most populous U.S. cities, the National Institute for Reproductive Health (NIRH) today announced new grants for on-the-ground partners in 12 key cities: Hartford, CT; Louisville, KY; Detroit, MI; Columbia, Kansas City, and St. Louis, MO; Memphis, TN; El Paso, TX; Charleston, Huntington, and Morgantown, WV; and Seattle, WA. The local organizations NIRH will partner with this year have committed to advocate for, pass, and implement policies that advances reproductive freedom at the city level – with the goal of improving the lives of residents in their cities and raising their cities’ scores in the Local Reproductive Freedom Index. During his first year in office, President Trump and his allies in Washington have presented an anti-woman agenda every step of the way. But while D.C. is embroiled in constant scandal, advocates and policymakers at the city level are introducing and passing proactive legislation to help women and families thrive. If the White House won’t stand up for reproductive freedom, cities have the ability to lead – especially cities in states with anti-choice governors and state legislatures. 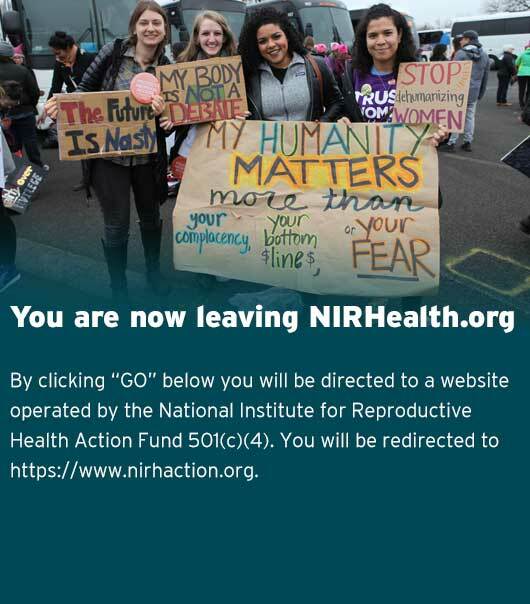 In Hartford, Connecticut, NIRH will work with NARAL Pro-Choice Connecticut to build upon its successful regulation of deceptive ‘crisis pregnancy centers’ (CPCs) in Hartford by pursuing policies that protect patients and providers at Connecticut’s last remaining independent abortion provider. In Louisville, Kentucky, NIRH will work with the Louisville Safety Zone committee to protect patients and providers at Kentucky’s only operating abortion clinic with a clinic safety ordinance. In Detroit, Michigan, NIRH will work with the Michigan Organization on Adolescent Sexual Health (MOASH) to develop effective Sexual Education Advisory Boards that teach sexuality education that addresses the systemic oppression young people in Detroit face. In Missouri, NIRH will work with NARAL Pro-Choice Missouri to build upon its successful passage of the 2016 Reproductive Health Nondiscrimination Ordinance in St. Louis. Together, the organizations will work to ensure that women are able to access the quality abortion care they need free from fear, intimidation, and violence by passing a clinic protection ordinance in St. Louis. They will also aim to pass a similar ordinance in Kansas City and fight for paid leave in Columbia. In Memphis, NIRH will support SisterReach to engage young people to raise awareness of and activate the community around the need to change Shelby County’s “opt-in” sexuality education policy. In El Paso, Texas, NIRH will work with the West Fund to implement comprehensive sexuality education that is evidence-based, medically accurate, comprehensive, and supportive and inclusive of all young people, including LGBTQIA students. In Seattle, Washington, NIRH is teaming up with All* Above All to work with Surge Reproductive Justice to advocate for dedicated funding from the city of Seattle to expand immigrants’ access to reproductive health care, including abortion. In Charleston, Huntington and Morgantown, West Virginia, NIRH will work with WV Free to unmask the deceptive practices of CPCs which proliferate across the state. NIRH’s 2018 local partners will use the Local Reproductive Freedom Index as a core part of their strategy to educate their communities, organize their base, and successfully pass and implement policy solutions for reproductive freedom. NIRH will re-evaluate the reproductive health, rights and justice policies of the most populous U.S. cities and update the Local Index in 2019.